A massive earthquake hits the California coast near Huntington Beach between San Diego and the Baja Peninsula. Of course it was not real, it was an exercise managed by San Diego State University’s VisCenter and InRelief.Org called Exercise24. Exercise24 was planned as “an open, ‘no fault’ environment for nations, organizations and the global community to explore collaborative technologies and develop solutions to humanitarian assistance and disaster relief challenges,” wrote George Bressler, SDSU adjunct faculty member and lead coordinator of X24. We’ve looked at the use of Twitter and other social media tools in previous articles on fires in Santa Barbara, Haiti, Chile, and preparing for the non-event tsunami in Hawaii. As a tool, instant one-to-many and many-to-many real-time interactive messaging has tremendous value. Where broadcast media and law enforcement have shortfalls in the lag time between and event and notifications, instant messaging can give real-time, “as it is occurring” updates to a wide audience. Utilize the computing cloud to rapidly converge geographically dispersed global experts at the onset of a simulated international incident, deploy a foundation of guidance in concert with community leaders in a manner that empowers community members through education and smart technologies to support mitigation, response, recovery, and a resumption of societal normalcy at a level of functioning an order of magnitude higher than existed before. Leverage smart phones, ultra-lights (United States), and unmanned air systems (Mexico) for rapid threat/damage assessment of a simulated seismic event that generates a significant oil spill off the coast of Southern California and Northern Baja California, as well as damage to critical infrastructure inland that necessitates mass sheltering of displaced community members. Additional objectives included stressing connections and capacity of social networking sites and Twitter to determine network and capacity load limitations, as well as the ability to filter “noise” from valuable information if needed to ensure the delivery of information and requests for help could be both understood and managed. Do you remember CNN and the other major news outlets carrying real-time interviews with citizen journalists via Skype immediately after the Chilean Earthquakes? A laptop computer with a camera and audio kit, and the world was getting on-the-scene reports from Conception as events unfolded – hours and days before news crews could get on the scene. “We hope to ultimately ‘connect the dots’ for data fusion and pattern recognition in homeland security and homeland defense” said Eric Frost, director of San Diego State’s Immersive Visualization Center (VizLab). There are a few obvious problems we need to get through before twitter, or any other instant messaging service such as SMS, eMail, or other means of interactive and non-interactive messaging are completely suited to the task. 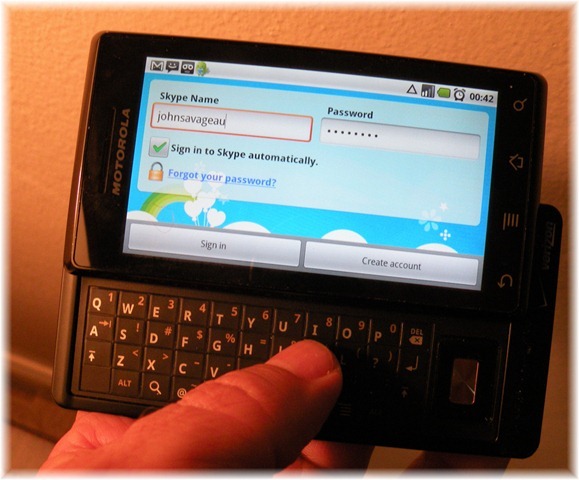 Messaging systems require access to network. Without 3G, LTE/4G, WiFi, or terrestrial Internet access the systems won’t work. Until every man, woman, child, and automated tripwire has access to a messaging-enabled wireless device, we will still have some shortfalls. Yes, this is true. The more prepared we are, the more effectively we can respond, and recovery from disasters. The more tools available, both intellectual and mechanical, the greater our chances of survival and recovery. Keep your eyes on organizations such as InRelief.Org, and participate in upcoming disaster response exercises as able. Maybe trite, but in reality, the life you save might be your own or a loved one. Wikipedia lists the “5th Estate” as an ambiguous addition to the traditional “estates,” including the clergy (1st Estate), nobility (2nd Estate), commoners (3rd Estate), and the press (4th Estate). The term (according to Wikipedia)has been used to describe trade unions, the poor, the blogosphere and organized crime. It can also be used to describe media outlets that see themselves in opposition to mainstream (“Fourth Estate”) media. A very compelling and interesting vision, until you begin to understand the extent of that capability. On a positive note it gives us a way find and access codified knowledge we’d never gain exposure to under normal conditions (pre-Google and Internet “normal conditions”), but on the other end of the spectrum personal information and confidential information is also collected, indexed, and made available to anybody with access to a search engine. Posting a blog entry may get you indexed within seconds, as would posting pictures of your family. Your tax records, home information, educational records, and other personal information, if not guarded with near military discipline (oops, forgot about wikileaks.com), will expose parts of your life never expected to the other 4.5 billion people around the world who may have a voyeuristic or nefarious interest in your life. However, perhaps the most interesting step into uncharted territory with Google is in their recent conflict with China. The issue here is not censorship, the issue is the rights of a sovereign nation, versus the development of a global utility that transcends the control of a nation over its citizens. Kind of a new United Nations of Cyber managed by Google. China is a good target, as self-righteous citizens of western countries reject the socialist political/cultural environment in the world’s most populous country. Of course those who believe in western conspiracy would note that Google has been linked to the CIA and other global intelligence agencies since inception (1), (2), (3), etc., by a variety of mainstream media and private websites. 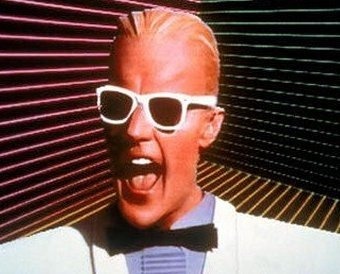 We’ve written about Max Headroom in the past, and he recently pop-p-p-p-ped up in conversations and magazine artiocles, including Wired Magazine. Max Headroom’s world, although brought to us in 1985, is almost creepy in its relevance to modern times. Just swap Television, studios, and TV with Internet and SEO ratings. Is Google and Google SEO the new global currency? Is Google search engine placement more important to a company than Euros, RMB, or Dollars? Is Google the next Max Headroom, an omnipresent component of all aspects of our life, more important than our national or cultural identity? Our lives are now wired with laptop computers, smart phones, Netbooks, Twitter, Facebook, Google, Yahoo, and Internet. You cannot walk a block without being presented with license plates, billboards, handouts, or airplanes pulling banners or skywriting URLs flogging some Internet site or service. Part of every person’s life in our current world. And Bluetooth has drilled it into our heads with Skype and other applications transcending the government controlled communications infrastructure with packetized everything-over-IP applications. Binding this together brings Facebooks and Googles into the basic infrastructure of the new world, almost to the point of transcending the value of fiber optics, wireless networks, routers, servers, and switches. While uncomfortable to us 50-somethings, we are witnessing a harbinger of the future. The future is wired. The future is a global community with little respect for borders and culture. The wired world is the 5th Estate. Only question is if Google or Facebook will join the first four estates as individual companies as representatives of the 5th Estate. The Huffington Post recently posted a blog by Thomas Crampton highlighting some of the differences between social media use in Asian countries vs. the United States. Much of it driven by broadband deployment in technically advanced countries like South Korea, Japan, and Hong Kong (yes, I know…), much of it a burning desire by young people in developing countries who want to expand their social and intellectual evolution. Indonesia is now the second largest user of Facebook in the world. Poor broadband access (generally), low disposable income to buy personal computers, and moral guidelines pressuring young people to follow religious values. How is it possible they could develop that fast? Growth rates in broadband and mobile access are astounding, with statistics such as Vietnam’s mobile Internet users growing 846% in 2009, 84.3% of Japanese online to the Internet with a mobile phone, and 48.6% of Hong Kong mobile users connecting with a smart phone. Oh, and mobile phones in Asia are inexpensive. Really, really inexpensive. Almost anybody can afford a mobile phone, and many do – occasionally at the expense of clothing, food, and shelter. In fact, I was able to buy a prepaid phone with around 250 minutes in Jakarta for less than US$20, with messaging, simple data access, and other net-enabled applications. So the mobile phone represents a means of communication, added to a basic social status issue, and a door to emotional and intellectual exploration and freedom. What is different in Asia than in the US? Well, a couple of things for certain. When you start with nearly zero social and technical penetration, and you have the benefit of receiving a relatively mature technology, then it is easy to statistically go from zero to nine hundred miles an hour. Also, consider the average young person in a country like Indonesia or Vietnam. You go to the occasional movie, you have an opportunity to watch foreign television shows, and you realize it is a very, very big world. Lots of diversity you would not be exposed to without the benefit of technology. Even more, you understand there are real people living in that huge world who are not simple digital renditions of a movie producer’s fantasy. The Internet helps bring a young person in Jakarta, Samarinda, Semarang, Banda Aceh, or Merauke to Paris, Cape Town, or Burbank. Facebook puts a name and face to distant lands, cultures, and people. And when that young person goes home to their dormitory, house, or relocation home they have a glimmer, even if it is a faint glimmer, of hope that life could be better than it is today. And Internet access, with social networking provides an additional escape. Whether it be joining a virtual gaming community, or chatting with persons on a different continent, you are able to escape your surroundings for a brief moment. That moment may be in an Internet café (WarNets in Indonesia), it may be in a home, or it may be at school. Of course, not everybody in Indonesia, Vietnam, Malaysia, Cambodia, or Laos are poor or underprivileged. Asian culture is different than western culture. In many countries it is not easy to be open with relationships, activities, or personal preferences. While American kids certainly find their escape in gaming and social networking, it is even more of an outlet for many young people in Asia. If you live in a strict religious environment – as many in Asia do, which restricts your ability to freely express yourself in the local “real” community, being able to develop new ideas, discover new ideas outside the control of your “thought leaders,” is an attraction. Facebook and other social networking sites offer a global conduit of hundreds of millions of other people who may also desire to share experiences and ideas. In the past, Americans enjoyed a fair level of economic and social security based on high levels of education, and the desire to increase their status and quality of life. We looked at developing countries with little interest, and in fact many Americans still cannot find more than a dozen countries on a world map. Young people in developing countries such as those in Asia, who are included in those astonishing statistics of locations rapidly embracing technology and social networking, are hungry. Hungry not only for knowledge, but also hungry to improve their quality of life, with an added hook of national identity and pride. The intellectual skills gained through accessing Internet and diffusing global communications into their life will give those persons in developing countries the same intellectual tools American enjoy, putting them on a level intellectual playing field. With the additional ability to participate in eLearning, those intellectual tools become more important – particularly when compared to the dwindling education levels and achievements in America’s education system. Social networking sites may help draw young people to the Internet, but once there the skills learned far outweigh the social value Facebook or other sites provide. With the largest countries in the world representing the fastest growing component of the internet (China, India, Indonesia, Malaysia, Thailand), within another generation or two those young people may intellectually match or exceed the capabilities of their age group counterparts in the United States and Europe. This is all good, as educated people generally are much more likely to quickly recover from disasters, are less likely to become involved in extremist movements, and are more likely to break down political, cultural, and secular barriers that have polarized nations in the past. It is scary to Americans, as we will need to prepare ourselves to accept the rest of the world as our intellectual and economic equals. It is inevitable. The news started hitting California early Saturday morning with an SMS alarm on my mobile phone – a major earthquake struck Chile, and there was a potential of tsunami activity in California and Hawaii (as well as the rest of the Pacific). First stop – CNN. The news source was right on the story, with real time information flowing into the newsroom from, not on-scene journalists, but through Twitter and Facebook updates. Another SMS message hits the phone letting me know there was a Twitter list at #hitsunami, and the discussion would include all the most current news related to tsunami preparations in Hawaii. Also gave a link to a web page that was broadcasting a live feed from KHON in Honolulu until the station integrated their feed on the KHON home page. Back to CNN, cell phone videos began pouring in from Santiago and Concepcion. CNN began broadcasting directly from Chile – not from a CNN journalist, but from a Chilean citizen streaming video through a Skype connection. KHON also began streaming video and audio from a private citizen through BJPENN.COM in Hilo, as KHON also did not have a real time video feed of their own, or a journalist on site that could provide adequate real time information from the city. Then, the same stream from BJPENN.COM in Hilo showed up on CNN, Fox News, and MSNBC. News media is changing forever. Citizens now have the technology, and savvy, to provide the world with real time, unedited news feeds 24×7, 365 days a year, and from nearly any single location on the planet. Neither mainstream news media outlets nor governments can fully control the presentation of events occurring around the world. With nearly every mobile phone equipped with a camera or video device, and the ability to send images through both the mobile networks and Internet, reality can once again be reality. Government actions, law enforcement actions, and individual actions are now more likely to be recorded than not – ensuring that at a raw level, fact will become available to the world without government or media corruption of the source. While the mainstream news media may still add “expert” commentary and attempt to interpret events, those events can no longer be controlled or hidden from the global community. There are exceptions, such as embedding journalists within military operations. The government will still control what the public views or learns from those journalists, and propaganda will still be part of our lives. Mainstream media will still try to interpret events in a manner supporting their political views (if in doubt, watch the US stations Fox, MSNBC, CNN, and BBC America for a variety of interpretations of a single event). But that line of deception, or use of propaganda, becomes thinner every day as the diffusion of recording devices and communications continues to become available to nearly every person on the planet. With residents of the Big Island scattered along the shores of Hawaii, and nearly 100% of them with a mobile communications device, people on the island were kept up to date by the second of tsunami activity hitting the island. Emergency services broadcast information upon receipt of updates, and if there was ever a “dry run” for emergency communications, the people of Hawaii showed the world how it should be done. As Governor Lingle stated in a pre-event news conference (broadcast to KHON studios via Skype), “the eyes of the world are now on Hawaii.” Gov. Lingle, and the people of Hawaii should be proud of the way they set a new standard for integrating citizen journalism, broadcast journalism, and emergency services into a single, integrated community. Mainstream media gets it. They may not like it much, but they get it. iReports, real-time Skype and Twitter reports, SMS messages, and mobile imaging have given us the potential of having around 4 billion citizen journalists available to produce news content. CNN, Fox, and MSNBC are more than welcome to collate and interpret those events, but now we have a choice of making our own interpretations, listening to the mainstream media’s interpretations, or listening to the government’s interpretation of local or global events. Vicki Tortorelli, Co-founder, System Solutions Inc.
Had very detailed discussions on how their businesses provide consulting to many different companies on how to best use all three of the above sites for promoting their business, as well as providing various levels of customer support and customer service. In Rebekah’s presentation she included a very nice chart showing the demographics of different social media sites, with Twitter being the closest to younger users, Facebook with a middle category of users representing up to a university degree, and falling into a 20s ~ 40s age group. LinkedIN sits on top with a 40s + age group, and a generally professional skill and job level. It took me a good week to understand how those intelligent ladies could possibly make a living out of providing marketing and PR support for companies wishing to adopt social networking media in their businesses. Here I am, a 30 veteran of the Internet campaigns, and these people were going to open my eyes on social networking? OK, so maybe they did. Just a little, but my eyes cracked open just wide enough to do some more thought development and homework on the subject. How Can Business Possibly “Tweet” Professionally? Earlier this year we discussed how Twitter was effectively used in the Jesusita fires which hit Santa Barbara in May (2009). Students from UC Santa Barbara “tweeted” each other to give status updates on the fire, and even make recommendations on how to avoid getting caught up in the rapidly advancing flames. This is an example of a real-time rapid notification system, which does not exist within a standard text, email, or web solution. The same rapid notification system can easily be modified to meet the needs of a customer service or operations organization. For example, in my own industry of telecommunications, we occasionally have events from many different sources that come together in our facility, ranging from natural disasters in the Pacific (cutting submarine fiber optic telecom cables), to wild fires disrupting high voltage electrical systems running up and down the state of California, to virus and spam attacks within the Internet. If our network operations center has simple, fast, 140 character access to potentially thousands of people, then the immediate notification there may be disruption or problems, as well as recovery status messages becomes very easy. Marketing people are finding Twitter a great means to get product announcements, promotions, and other events out to a very large number of people and organizations with very little effort. Personally, I tweet when posting new blogs. It does bring readers to my blogs, and has increased my readership by about 5 times since I started tweeting the articles. Also, with correct use of hash marks (or hash tags) you can narrow down the focus of who reads your tweets, which is particularly useful during disasters or when you want to limit what you read or post to a better focus niche. Have two Twitter accounts. One for your personal use, and one for your professional use. Try not to mix messages between the accounts. If you are promoting your own stuff (or product), make sure the message is useful to the reader. Give them something to bite on. Use Twitter to create a “Back Channel” for use during events. This will help you keep locals and distant contacts informed of events at a conference or meeting as they occur. God bless real time information in a meeting! Any new technology or major shift in technology takes time. Skeptics at the turn of the century thought automobiles were an annoyance, and interfered with the business accomplished with horses and carts. In the mid-1980s my colleagues, even in the US Air Force, thought Email was stupid, would never take off, and was a waste of time. In the early 1990s most people thought the web was a toy, and would add very little value to anybody’s life or business. Things do change. Today Twitter is just emerging as a technology to combine blogging (micro-blogging), email, SMS/text messaging, and phone calls into a single platform. It is new, but people are starting to learn more about the concept and vision behind Twitter every day. Like it or not, Twitter, or a system that is born of Twitter, will drive much of instant communications in the future. So the call to action is, simply, open a free Twitter account and gain a bit of tacit knowledge and refine a few skills. It costs you no more than a bit of time, and will give you knowledge that will no doubt be part of our futures. Or in short, play now, or pay later. How do you use Twitter? Good for business? Noise for business? Please feel free to comment with your thoughts. 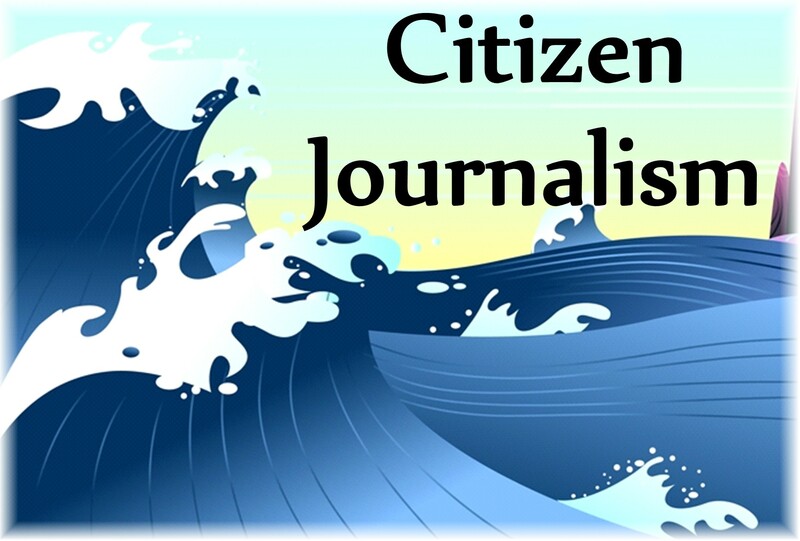 Citizen Journalism took on a very clear role this week as the Iranian government continued to deport journalists admitted with temporary visas (to cover the Iranian elections). As western journalists were told reporting on the demonstrations and protests against perceived election fraud was illegal (“We warn those who propagate riots and spread rumors that our legal action against them will cost them dearly,” a statement from the military force said), the burden of reporting fell on the shoulders of Iranian citizens participating in the demonstrations. Most of the reporting comes in the form of videos uploaded to YouTube, email, and updates to social networking sites such as Facebook and Twitter. The reporting is generally a recording of events, which is then commented upon by western news media. Even in the United States, visual accounts of events involving police brutality become instantly available to the rest of the world. This was clearly demonstrated when Oscar Grant was shot on a Bay Area Rapid Transit train platform News Years night. Dozens of citizens recorded the incident on their mobile phones, uploading the images to YouTube and social networking sites directly from the platform within seconds of the event. Now as mobile phone and computerized video files continue to flow from Iran to the rest of the world, keeping people up to date with events in Iran, we can reflect on changes taking place in the Internet age of information. CNN reporters, who have been with us providing news since the 1980s, are now barred from providing real time views of Tehran. They are taking “iReports” provided by Iranian citizens, and providing commentary on videos that cannot be independently verified. We need to assume that video being used is an accurate record of events – perhaps a big assumption in a world also well known for use of media deception and propaganda. However one message is very clear. Regardless of the validity of visual and citizen provided accounts of events, it will be very difficult for governments to contain or suppress news in the future. The Internet has provided a means to instantly globalize information and news. Governments will forever be held accountable for their actions in the court of world opinion. MISSION – Give people the power to share and make the world more open and connected. Josh Elman, Senior Platform Manager at Facebook, shared some of the ideas and visions behind one of the fastest growing and most successful social networking sites in the world. The monthly meeting of the Silicon Valley Product Management Association (SVPMA) provided the stage, and around 150 interested attendees gathered to learn some of the techniques used by Facebook to recruit more than 200 million members within the space of only two years. USER MISSION – Create opportunities for people to share, and make the world more open & connected. Create your identity. The most important thing about Facebook identities is to create credibility. Once people know who you are, and are confident you are authentic, it is much easier for them to make a connection and bring you into their community. Establish a network of friends. The word “sharing” is a common thread in all Facebook discussions. You share your ideas. You share your personal status. You share your interest through joining groups of other people sharing similar interests. You share your interest in Internet marketing, and suddenly you are a member of a community of 100,000 others around the world who share your interest in Internet marketing. If you are familiar with the ideas of one-to-one, one-to-many, and many-to-many communications, Facebook takes that concept and adds the ability to take any of those ideas and build them into three-dimensional clusters. This is the idea of many, many-to-many relationships all interconnected through common human or social group conduits. Josh used the example of Facebook communications during President Obama’s inauguration as an example of how quickly Facebook can be used to spread a message. While online, more than 2 million comments and status updates were made through one-to-many messages, with spikes of more than 8500 status updates per second during Obama’s speech. Obama-related messages touched a majority of Facebook users, making this perhaps the fastest, most effective information or message distribution platform, ever. Just a few years ago life for many was restricted to a small geographic area, where your community consisted of others sharing your own culture, language, and traditions. When outsiders entered the community communication was strained, as there may not have been a common language, and cultural differences created a lot of stress. Even in a global community, it is still difficult for a native Japanese speaker to easily communicate with a native French speaker – particularly if the common language (probably English) is not native to either speaker. Facebook tries to break down those cultural and language barriers with a dynamic translation engine that allows members to communicate in their own language, while the other party receives the message their own native language. This makes, at least the language part of a relationship, transparent to both communicating parties. Josh Elman is the perfect evangelist for Facebook. With prior experience in companies such as LinkedIN, he has the social networking technology down cold. Combine that with his enthusiasm in bringing both Facebook, as well as the vision of creating a connected world together, and you have an uplifting evening that would motivate even the most skeptical web user.